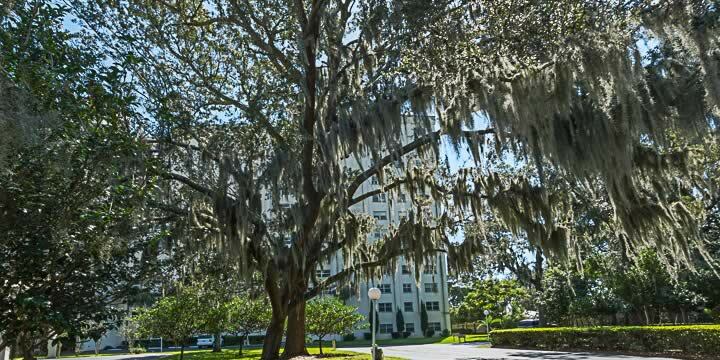 Large oak tree with Spanish moss in this heavily-shaded parking area. 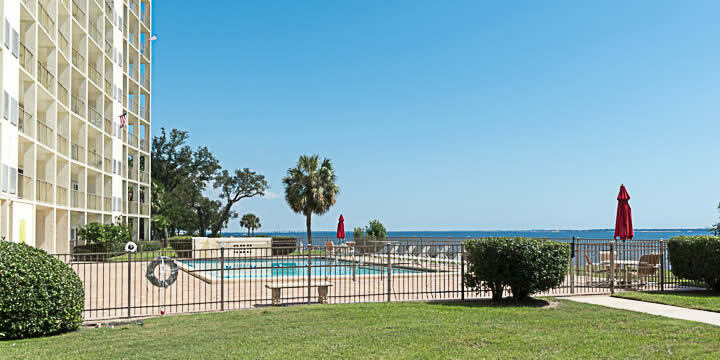 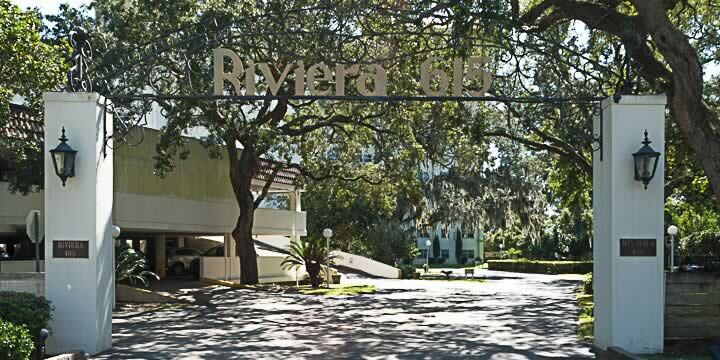 Pool and deck area next to grass common area that overlooks Pensacola Bay. 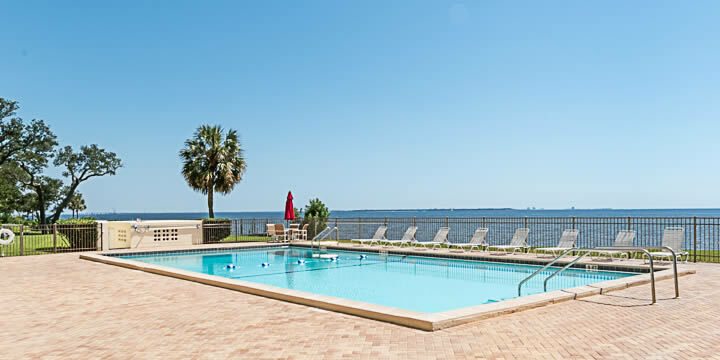 Swimming pool with a panoramic view of Pensacola Bay, Gulf Breeze, and Pensacola Beach beyond.